Acoustic office furniture (open plan office architecture) refers to furniture designed to create a comfortable workplaces where comfort, privacy and acoustics are a key concern. Furniture elements found within this category can include high back acoustic sofas, acoustic meeting pods, acoustic baffles, privacy lamp shades, sound absorbing wall panels, work bays and many more innovative acoustic furniture designs. A critical issue within today’s contemporary office is what happens to this intelligence when the inevitable change to the layout, happens. How do we achieve refined acoustics in the flexible and adaptable workplace? Acoustic office furniture can be used to create private or social spaces within the contemporary open-plan office. They have been designed to define areas of relaxation, concentration for brain storming, having informal team working sessions or meetings. Après wide range of sound absorbing furniture found here are specifically designed to absorb and assist with disturbing office sound in highly reverberant open plan offices. Sound absorbing furniture helps manage open-plan office noise problems creatively and effectively. If there is a shortage of meeting rooms, one can create a space by defining one with acoustic soft seating or create a mobile room with meeting pods. There are numerous creative acoustic furniture solutions to solve every one of you workplace requirements. If you have a specific requirement or need assistance please contact us. 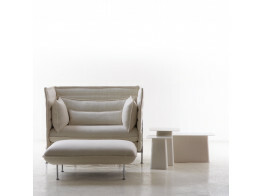 Call 128 High Back Armchair adapts to the ever evolving space while offering shelter from noise. 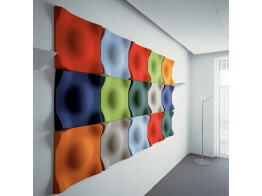 Swell Acoustic Wall Panels are specifically designed to enhance the acoustic properties of any interior. 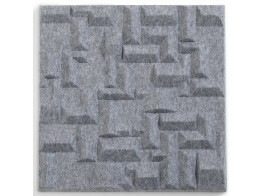 Soundwave Skyline Panels are made from recyclable moulded polyester fibre absorbing frequency 500 Hz and above. 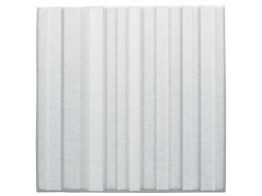 Village Soundproof Panels achieve an optimal sound absorbency in a modern design. Alcove Highback Sofa functions as an acoustic screen divider. Put two together to create your own space. 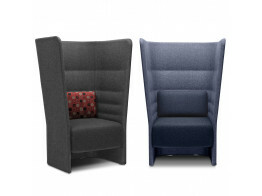 The Alcove Sofas range is part of the Net 'n' Nest concept; a place to breakout, work or for private calls. 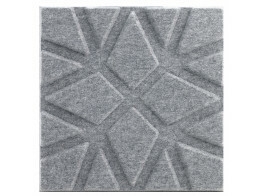 Geo Acoustic Wall Panels uses a geometric pattern that is decorative but can also function on a large scale. 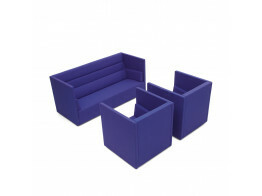 Float High Sofas have an acoustic high back creating privacy for informal meeting areas.